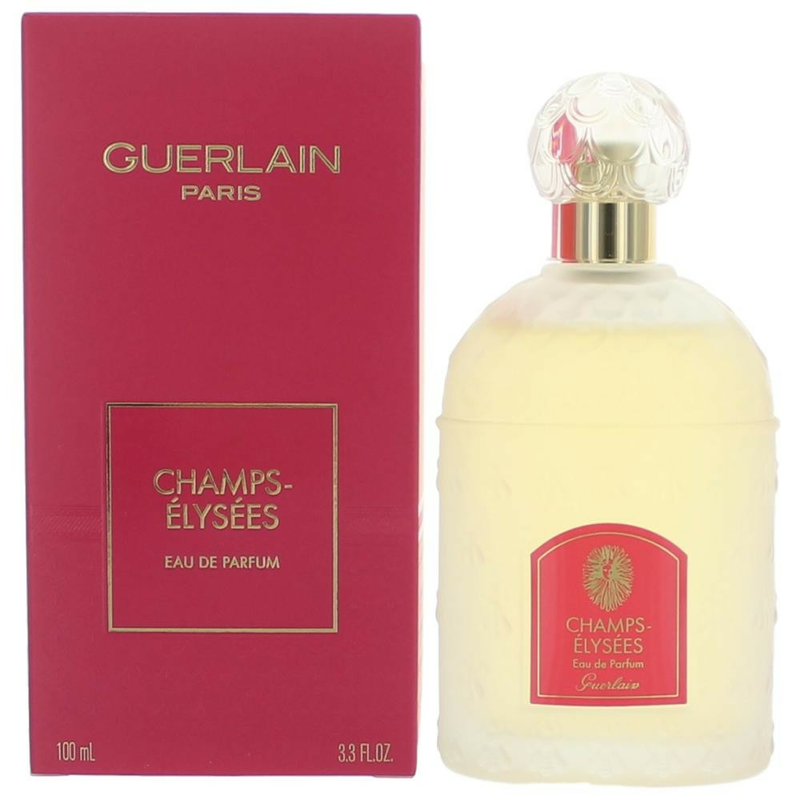 Champs Elysees Eau de Parfum by Guerlain is a Floral Fruity fragrance for women. Champs Elysees Eau de Parfum was launched in 1996. Champs Elysees Eau de Parfum was created by Jacques Guerlain and Jean-Paul Guerlain. Top notes are black currant, melon, almond, violet, peach and anise; middle notes are peony, mimosa, lilac, hibiscus, lily-of-the-valley, rose and almond blossom; base notes are sandalwood, benzoin, vanilla, cedar and almond tree.